We Are The West are back with a brand new EP. Excellent news! We’ve got a live recording from the high desert of New Mexico, Ghostly sounds from Seattle, Afrobeat from Brooklyn and to start, songs collected by a biologist in the Carpathian mountains of Central and Eastern Europe over a hundred years ago. A biologist was so enchanted by the music of a small Moravian village at the western hem of the Carpathians over a hundred years ago that he meticulously transcribed them into a tome of a book. The songs had been carefully preserved. But how could they come alive over a hundred years later? 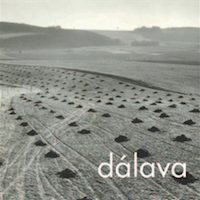 The NYC based band Dálava gives a beautifully idiosyncratic answer with their eponymous debut album (release: October 14, 2014). Based on the Moravian folk songs transcribed by biologist and ethnomusicologist Dr. Vladimir Úlehla, and led by vocalist Julia Ulehla (Vladimír’s American great granddaughter) and guitarist Aram Bajakian, the album vibrates with intensity, even when whispering and sparse. Prepared and distorted guitar alternates with eerie soundscapes. Ulehla’s voice teases and caresses (“Milá má”), then leaps and bounds (“Mamičky”). Bajakian has toured extensively with Lou Reed, who he played alongside during the rock legend’s final two tours. Bajakian then went on to perform over 100 shows alongside multiple Grammy winner Diana Krall during her much lauded Glad Rag Doll Tour. He learned from friend and guitar mentor Marc Ribot, and has worked with John Zorn and his circle to compose and perform challenging contemporary music (though often with a strong rock kick). He has also experimented with tender, more acoustically leaning treatments of Armenian folk tunes with his project Kef. Ulehla, classically trained at the Eastman School of Music, left the opera world for the uncharted, exploratory territory of the Workcenter of Jerzy Grotowski and Thomas Richards, drawing on the experience of the theater icon and his collaborators to dig deep into the physical experience and ritual mindset of songs in performance. The two childhood friends crossed paths again as adults, meeting up in Italy where Ulehla was an actress at the Workcenter. Eventually, they found themselves back in New York together as young parents and curious musicians. They decided to tackle the love songs and philosophical ballads, the recruiting chants and cryptic fragments transcribed by Ulehla’s great-grandfather Vladimír. We heard from We Are The West a while ago and now they have a new work out in the wild called We Are The West III. This is a single track offering somewhat confusingly called Trilogy. 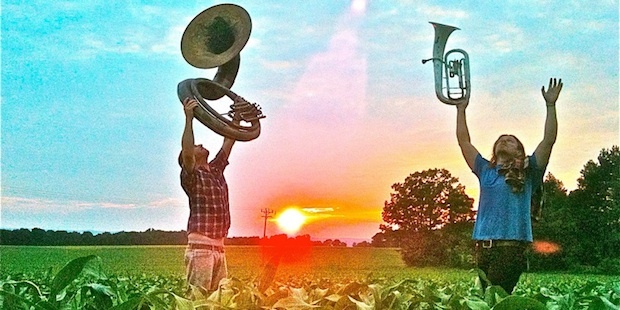 Brett Hool together with his musical soul-mate, John Kibler, are interested in exploring the convergence of sound and space. For this recording they leave the storm drains and underground garage spaces of LA and head out for a live recording in the high desert of New Mexico. Yes, WATW really are interested in exploring the convergence of sound and space. Their skilfully crafted music is layered into the context of very live performing and recoding spaces, resulting in songs of a haunting beauty and intimacy. Their WATW III recording brings us close to performance poetry in places but always underpinned by fabulous playing and voices that reveal real passion. It repays focussed listening. You can get the EP (if that’s what it is) at http://wearethewest.com/WATW/EPIII.html where there is a link to their Bandcamp page. It is offered on a pay what you like basis (min $3) have a listen and discover how much you like it, then let that tell you want it is worth – I’d say the benefit to my soul is worth way more than $3. The bands previous episodes in the four recording suite are available from Bandcamp too. Lusine is Texan Jeff McIlwain, an ambient/IDM musician. Originally a Texas native, McIlwain now resides in Seattle. 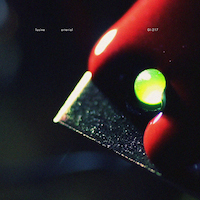 After his diverse yet cohesive 2013 album The Waiting Room, Lusine, is back with a more tightly focused EP. The release of Arterial, his fourth EP for Ghostly International, marks another successful foray into a niche that most artists would spend their careers immersed in. A calmly effortless work, Arterial is economical in everything it does, creating its own tiny universe to house expertly crafted productions. On the title track, crackling samples simmer like heated atoms narrowly missing each other, suspending us as we wait for release. “Eyes Give In” encapsulates the EP’s feel, taut, with no sound out of place, and yet over the course of its five minutes warming into something undeniably human, even comforting. “Quiet Day,” the most accessible track here, demonstrates McIlwain’s gift for merging heady electronic music with the visceral appeal of pop, as his gorgeous synth melodies compliment submerged vocals. At 20 minutes, the EP is exactly as long as it needs to be, showcasing yet again the multiplicity that exists within Lusine’s work through songs that form a compact whole. As McIlwain told Giant Step in a recent interview, his goal is to find “beauty in strange places” and “warmth under the surface” through all his music, and on Arterial he fulfills this wonderfully. Underground System’s music finds its roots in Fela Kuti’s West African pioneered Afrobeat aesthetic that is chopped and screwed with the disparate influences from dance halls around the world. The band’s female frontline pushes them ahead with a unifying socially conscious voice, Underground System is a force: a freaky, dancey, multicultural party. 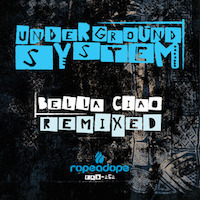 From the two track Bella Ciao EP a five track remix album has emerged, that truly displays the diversity of Underground System’s music. To create this album Underground System has called upon their extensive network of beat makers, electronic musicians, rappers and DJs to create five incredibly different remixes of the tracks D.O.N. and Bella Ciao. Underground System Remixed features reworked tracks from the Brooklyn-based trio Archie Pelago brings their electronics, trumpet, cello, sax in for a spaced-out disco remix of Bella Ciao. Globe-hopping DJ and educator Chief Boima twisted that same track into a dark percussive track ready for the international dancefloor. The Bella Ciao remixes are rounded out by none other than Peter Matson, Underground System’s own bandleader and accomplished DJ and producer in his own right. The track D.O.N. was put into the hands of Das Racist alums Kool A.D. and Kassa Overall aka Kool and Kass, the result is an epic extended verse track that only these two hip hop magicians would produce. The final remix of D.O.N. is the premier of the newest Underground System offshoot project Big Everything (Elenna Canlas and Peter Matson) dance floors beware! 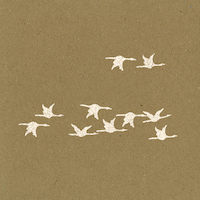 The video for the original mix.